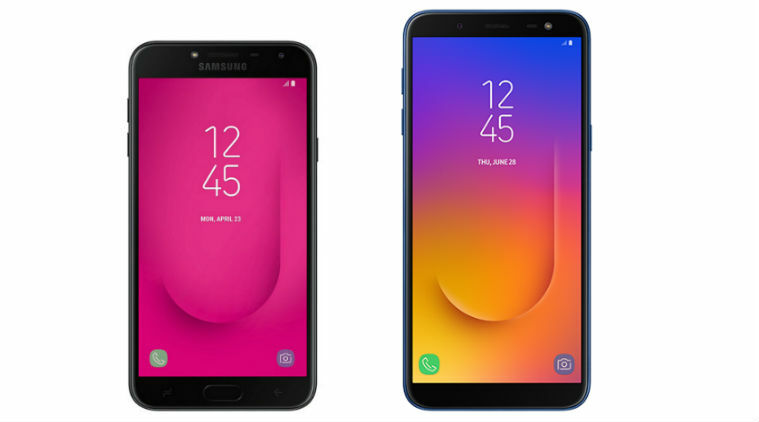 South Korean titan Samsung has finally unveiled its new A series smartphones- Galaxy A6 and Galaxy A6+. The mid-range duo has been listed on company’s official website along with detailed specifications. Both the phones will sport more or less the same design. 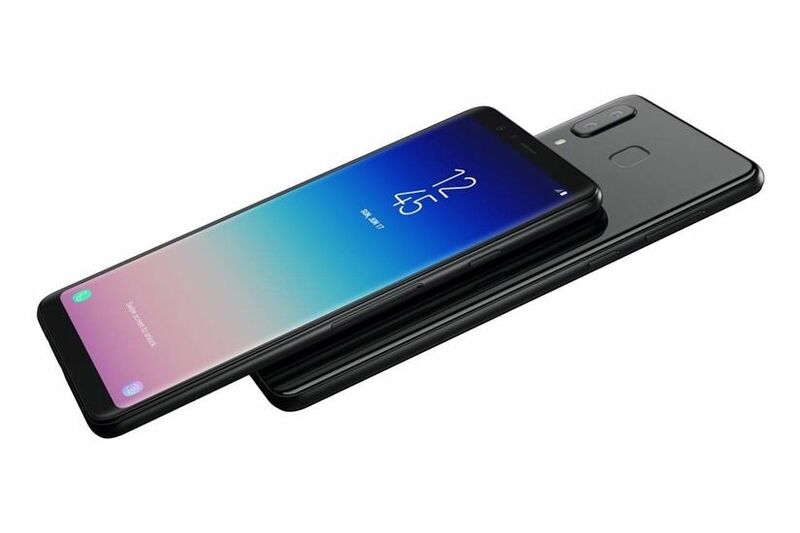 The front will host Samsung’s trademark Infinity Display, top bezel with selfie snapper, flashlight and earpiece. At the back, there is vertically aligned camera setup in the center along with Samsung branding just beneath it. Both the devices will come with Bixby voice assistant support. 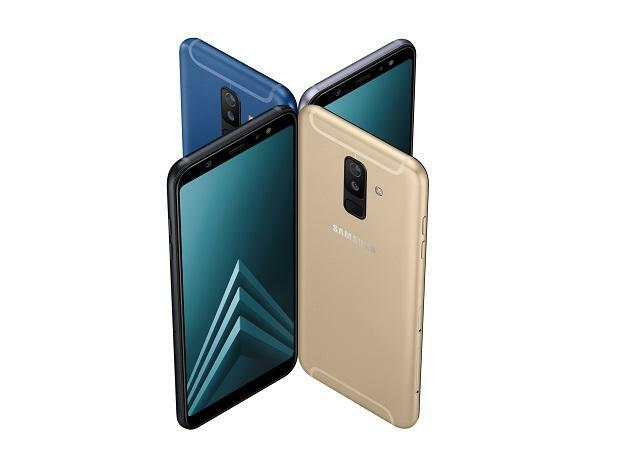 Samsung has not yet revealed the pricing of the phones but the Galaxy A6 is speculated to arrive with a price tag of around EUR 350 (approx. INR 28,000) and the A6+ could be priced at EUR 400 (approx. Rs. 32,000). Both the phones will be available for sale from early May starting in select European, Asian and Latin American markets. The phones will be available in four color options- Black, Gold, Blue, and Lavender. The Galaxy A6 boasts a 5.6-inch HD+ Super AMOLED display of 720×1480 pixel resolution and aspect ratio of 18.5:9. Under the hood, the device is powered by a 1.6GHz octa-core Exynos 7870 chipset clocked at 1.6GHz coupled with 3GB/4GB RAM and 32GB/64GB internal storage (depending on the variant) which can be expanded up to 256GB via microSD card. The phone will run Android 8.0 Oreo operating system out of the box and is backed by a 3,000mAh battery. In terms of optics, there’s a 16MP auto-focus snapper at the rear with dual-tone flash and f/1.7. There’s a 16MP selfie snapper at the front with f/1.9. Connectivity options include- Wi-Fi 802.11 a/b/g/n (2.4/5GHz), Bluetooth v 4.2, GPS, Glonass, NFC, USB Type-B. 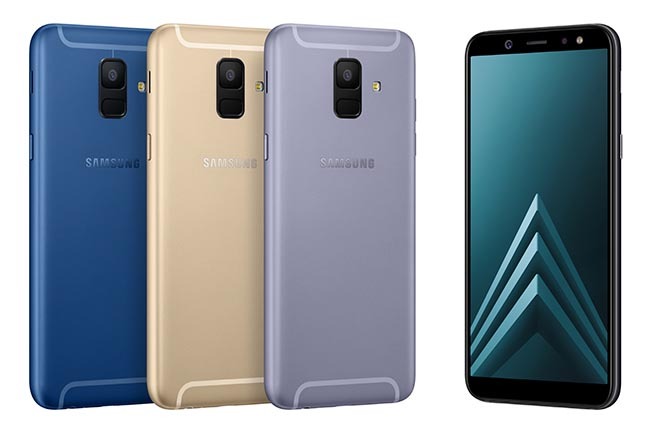 The Galaxy A6+ will sport a 6.1-inch FHD+ Super AMOLED display of 1080×2220 pixel resolution and 18.5:9 aspect ratio. The phone is backed by Snapdragon 450 processor. The device will come in two variant options- 3GB RAM + 32GB internal storage and 4GB RAM + 64GB internal storage. The rear hosts a vertically stacked dual camera setup of 16MP sensor with f/1.7 aperture + 5MP with a f/1.9 aperture. The front hosts an impressive 24MP selfie snapper with f/1.9 aperture. The device runs Android 8.0 Oreo out of the box and is fuelled by a 3,500mAh battery. Just like the latest S series Samsung Galaxy S9 and the S9+, the fingerprint sensor is placed at the back under the camera lens. Stay tuned with us as we bring you the Galaxy A6 and A6+ official pricing and availability details.